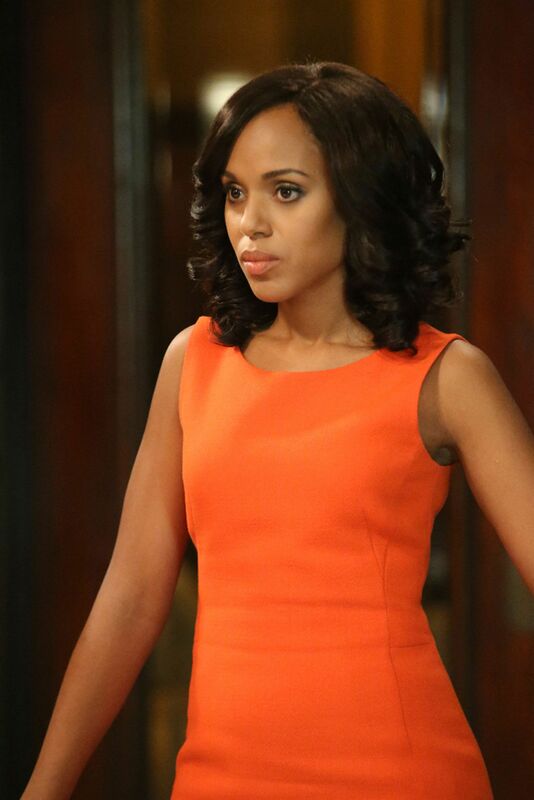 The day the Gladiators have feared the most has come: Scandal will meet its end. While we’re still in denial and refusing to say our goodbyes, let’s look back on the other thing Olivia Pope does best (aside from political crisis management, of course)—fashion. Below are our favorite looks since the first season. 10. Olivia Pope looked nothing short of phenomenal when she wore a strapless, white and gold Jean Fares Couture gown to President Fitz’ birthday. 9. She dressed the part of an empowered woman in a black Christian Dior coat contrasted with bold white hem when she was facing the First Lady in the White House. 8. Orange we glad of the very first time she (temporarily) ditched the monochrome palette and finally wore color? The bright orange Akris dress was the perfect start! 7. Her red Escada trench coat adorned with roses symbolized the anger and darkness the young Pope was feeling as she stormed her father’s house to confront Jake. 6. The crisis manager always looks stylish even she’s stressed like in this Ralph Lauren glen plaid wool dress she paired with a Goyard tote. 5. With outerwear as beautiful as the Ferragamo wool and cashmere blend coat, how can she not wear it twice? 4. The head of Olivia Pope & Associates sure knows how to make an entrance when she opened season 5 in a gorgeous Rubin Singer gown for the presidential ball. 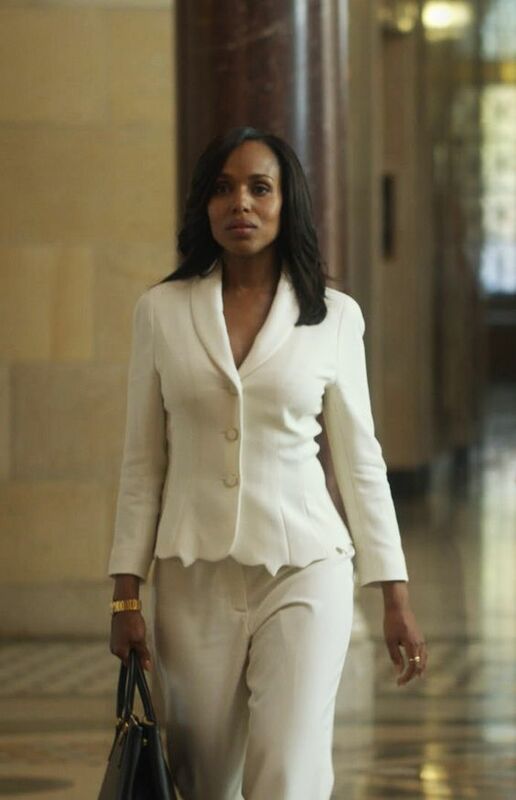 3. Who would Olivia Pope be if she didn’t have a stylish power suit? This scalloped Escada Besjana blazer and white Tova pants is just one of the many sets we loved throughout the series. 2. Contrary to her minimalist wardrobe in the early season, she now welcomes embellishments as much as she does with colors. This Carolina Herrera beaded cocktail dress was stunning on her. 1. 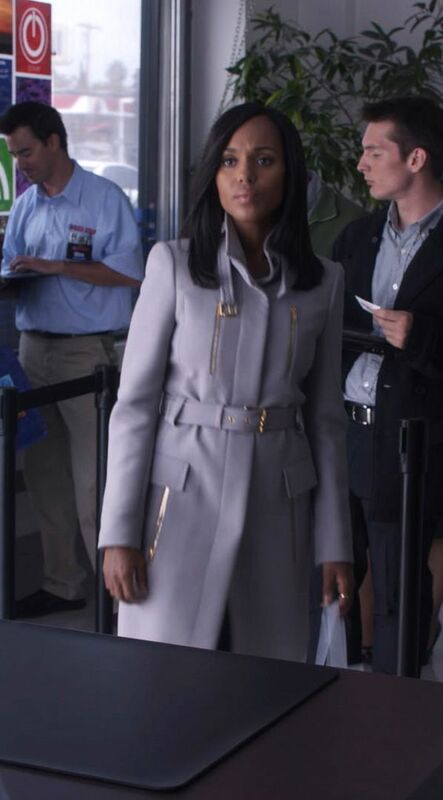 Olivia Pope made us incredibly jealous when she sported this Gucci light grey wool coat with gold hardware. Catch the Scandal Season 7 Finale on April 20, 9PM on FOX Life Asia.